French automaker PSA, which currently comprises Citroen, DS, Peugeot, and Opel, is finally returning to America and will start selling Peugeot cars in the US by 2026 for the first time in nearly three decades. In the meantime, rumors have suggested the French automaker wants to buy Fiat Chrysler Automobiles or Jaguar Land Rover. Fiat Chrysler has since denied these rumors, claiming that Hellcat-powered Challengers and Grand Cherokees wouldn’t be a good fit for the European market. But what about Jaguar Land Rover? Speaking to Autocar India, PSA Group boss Carlos Tavares says he would consider a merger or acquisition with Jaguar Land Rover – as long as it doesn't distract the French firm. Tavares believes it would be good to have a luxury brand like Jaguar Land Rover on board, which PSA currently lacks, and the company is "considering all opportunities." PSA hasn’t started discussions with Tata Motors, Jaguar Land Rover’s parent company, yet, however. "Why not? Why shouldn’t we discuss it? It depends on what kind of value creation we could generate," Tavares said when asked about the possibility of having a luxury brand above DS. Merging with PSA would give the group access to the global luxury car market and help Jaguar Land Rover’s current financial crisis. 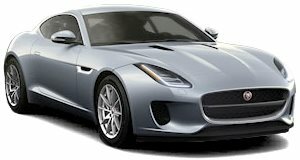 Last year, Jaguar Land Rover sold 144,602 vehicles between October and December 2018, down from 154,447 units in the same period in the previous year and posted a pre-tax loss of $4.4 billion in the final three months of 2018, which was the biggest loss in Indian corporate history. PSA already has experience rescuing loss-making car companies with Opel. However, Tata Motors has told Autocar India that JLR is not for sale. "There is no truth to the rumors that Tata Motors is looking to divest its stake in JLR,” a spokesperson said. But with the current challenges facing the industry and the substantial investments needed to meet future regulations, Jaguar Land Rover may have no other option but to join forces with another manufacturer.